Sister Clips are simple attaching devices commonly used in boating for ropes but also interesting for keychains and EDC items. Each clip has two holes, one of them with a small opening in the side, you can match the openings of two clips to attach them, once attached the clips will not dettach unless someone specifically moves the clip to make the holes match again. They are very easy to attach and dettach but very secure since accidental release is almost impossible. The clips are made of grade 316 and 305 stainless steel the bigger one has a ferruled attaching hole, measures 1 7/16'' and weights just .4 oz, the eye diameter is 13/32 inch, this clip is able to resist up to 550lbs of weight. The small one is 15/16 inch with an eye of 9/32 inch and works up to 150lbs. These clips are very practical to attach items to a keychain or other places, you just have to put one of the clips attached to your device and the other attached to the keychain, backpack or other attachment point. You can get them for $2.10 (small one) or $3.40 (big one) from this site. This is a new line of very thin and small USB drives, available in 1Gb, 2Gb and 4Gb of storage space. The drive is 42.6 x 16mm and it's only 3.1mm thin. The total weight is less than 2gr so the drive is virtually weightless. The drive as many others connects directly to a USB 2.0 port without needing drivers in modern operating systems (XP, etc). It comes with a hole to attach a neck strap or lanyard. It comes with some pre-installed software like PC-Lock, Zip, AES encryption, Email, Autologin and backup a good set of useful utilities for this type of drive. The transfer rate is 10Mb/sec reading and 2MB/sec writing, the manufacturer ensures data retention up to 10 years. 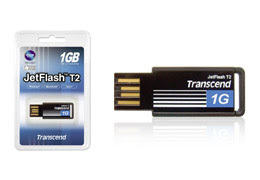 The 1gb model is $16, the 2gb model $25 and the 4gb model $43 and you can order from Trascend. 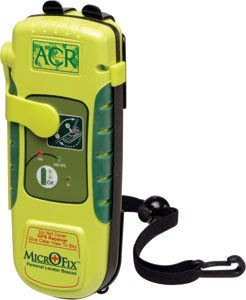 The Microfix is a portable and small PLB, a PLB is a personal locator beacon, an emergency device to get located and rescued in case of emergency. The PLB works transmitting a message in the 406Mhz frequency with a registered digital distress signal along with a 121.5MHZ SAR homing frequency. The signal can be picked up by satellites and transmited to a mission control center, the signal is then localized and a Search and rescue operation is organized. The SAR team use the 121.5mhz or the 406mhz signal to locate the PLB precisely. As you can see a PLB is only to be used in real emergencies and not for any non-emergency purpose every time you activate the PLB a Search and Rescue operation will be organized spending time and money to save you. Activation is easy, deploy the antenna to reveal on/off activation button and hold it for one second. The runtime is about 40 hours, more than enough to transmit the signal. The case is waterproof and built of highly resistant plastic to survive impacts. For people that are frequently in risky locations or that need to work alone in the outdoors a PLB is the most effective way to get located and rescued in an emergency, some time ago PLBs were very bulky and expensive but today as we can see in this model they are getting to a very reasonable size. This unit is 1.25 x 5.81 x 2.31 in (3.71 x 14.75 x 5.8 cm) and weights 10oz (285gr) price is still expensive but this is a device that can certainly save your life. You can read more at ACR's website.